BOOM! – GRENADE, the desk clock is on your table, ready to give you the time but mainly adding an original & fun touch to your environment. As the name indicates, Rick De La Croix‘s BOMBERG desk clock is small, fierce, powerful and efficient, an item every BOMBERG lover needs. 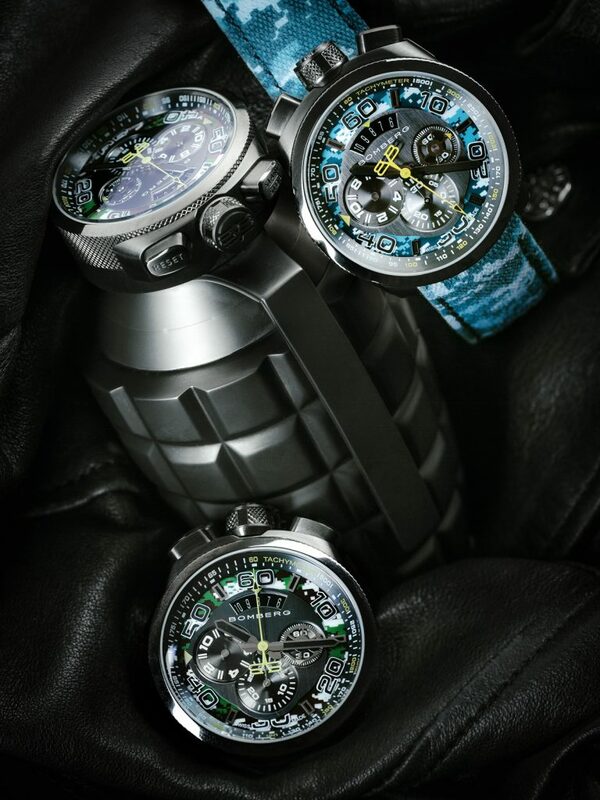 BOMBERG designed the GRENADE as a desk clock, bringing their extraordinary, original and unique style in order to customize any place you are at. This new innovative creation puts Rick De La Croix‘s BOMBERG ahead in the game by creating a purpose for your watch anywhere you are and for any situation, once again. Both your wrist and desk will be filled by BOMBERG’s uniqueness in the watch industry. What do we mean by unique? The BOMBERG GRENADE surpasses the classic ideology of watchmaking by creating yet another disruptive and unconventional accessory. The GRENADE’s unconventional design is an eye catcher on every desk and underlines the rebellious, masculine yet playful side of every man. This desk clock is available in two references, creating a perfect harmony between your desk and your wrist. One of the GRENADE models is made out of stainless steel while the other is in Gun Metal PVD, both are supported by the patented Bayonet system and adapted to all the BOLT-68 (45mm) models. BOMBERG GRENADE is not only a desk clock, it’s a piece of art for your home and work!